Disc Spring 15 x 5.2 x 0.4 (lo = 0.95) to DIN 2093 Specification – Cycling from 50% to 75% deflection. 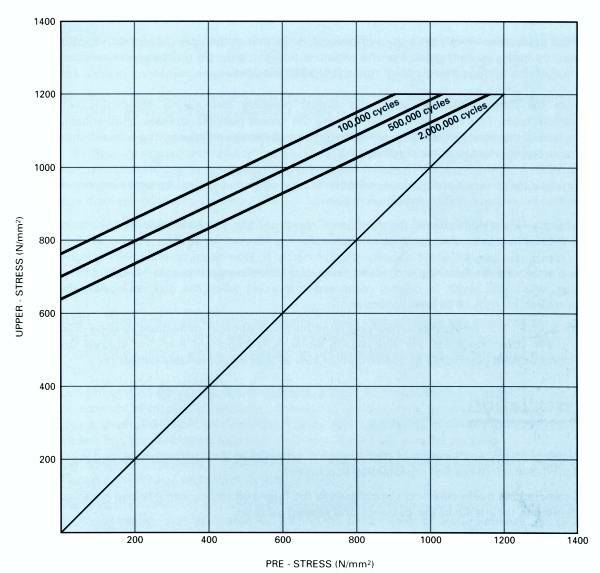 At 75% deflection, select the greater of tensile stress points δ II or δ III = 1002N/mm2 ( δ III). 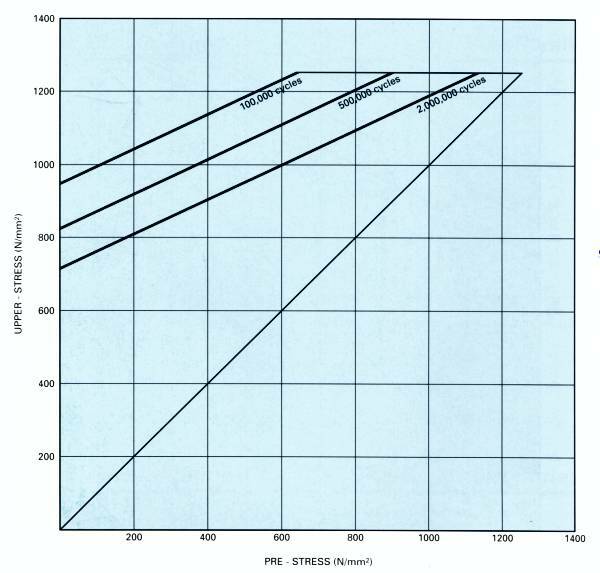 Select the tensile stress value for 50% deflection at same stress point (δ III) by extrapolation of value for 45% Deflection = 735N/mm2. 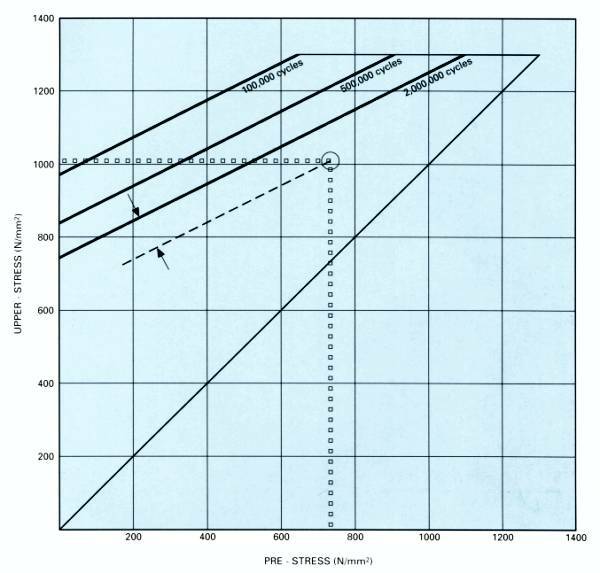 Select 735N/mm 2 on pre-stress axis and read vertically to the point of intersection with 1002N/mm2 plotted horizontally from the upper-stress axis. Estimated fatigue life = Considerably in excess of 2,000,000 cycles. Pre-stress must be minimum of 15% of total available deflection. 75% of total available deflection is a maximum. To enhance fatigue life, (a) reduce upper-stress, (b) increase pre-stress, or both. Estimated fatigue life will be more meaningful if suitable lubrication is used, and the number of disc springs stacked in parallel or series formations should be kept to a minimum. 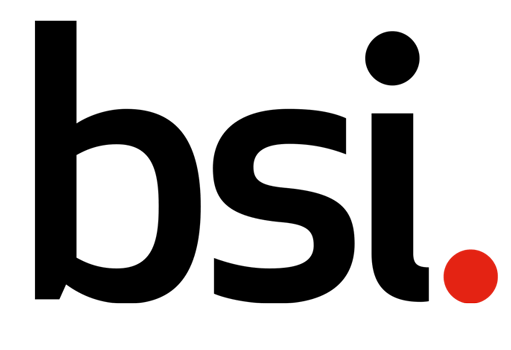 The fatigue life diagrams are an attempt to furnish the disc spring user with a means of assessing disc spring fatigue life using the data published in this catalogue. 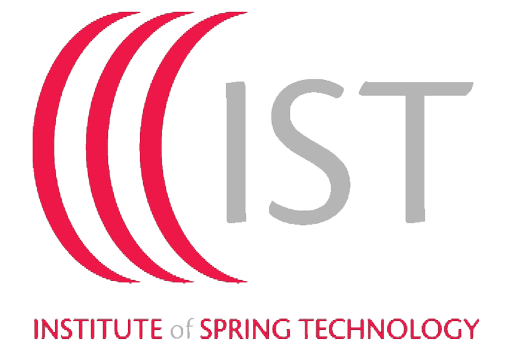 However, it cannot be too highly stressed that this data is relevant to standard disc springs to DIN 2093 specification only, and is based on actual tests and extrapolated test results of this type of carbon steel disc spring. For disc springs of a specialised nature, and those manufactured in any of the wide range of alternative corrosion and heat resisting alloys, we recommend that you seek expert assistance from ourselves.